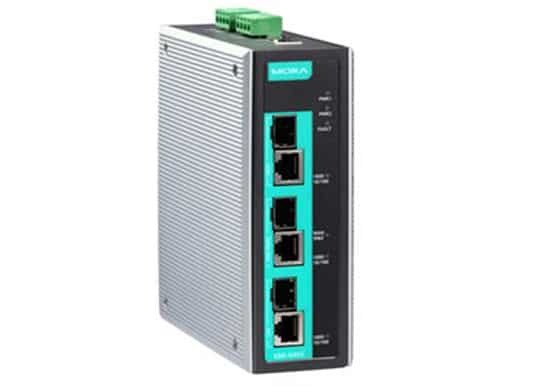 Moxa Wireless LAN Solutions - Allied Automation, Inc.
Moxa’s AWK family of industrial IEEE 802.11 wireless AP/Bridge/Client products for WLAN are ruggedly designed to resist the effects of harsh industrial environments. Outdoor rated versions with metal housing with IP-68 protection guard against dust, water, and shock/vibration. High resistance to electromagnetic fields, galvanic isolation to guard against voltage instability, and wide- temperature operation are additional protective advantages. Single-radio or dual radio models are available to meet your application needs. Contact Allied Automation for assistance in selecting a product. 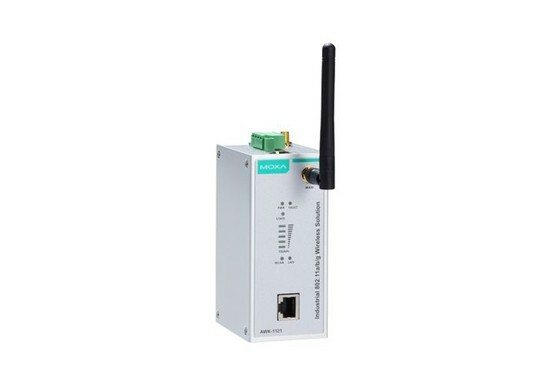 The AWK-1121 WLAN client is ideal for integrating Ethernet devices with existing wireless connections. Rated to operate at temperatures ranging from 0 to 60°C (-40 to 75°C for wide temperature models) and rugged enough for any harsh industrial environment. Installation is easy with either DIN rail or wall mounting capability. 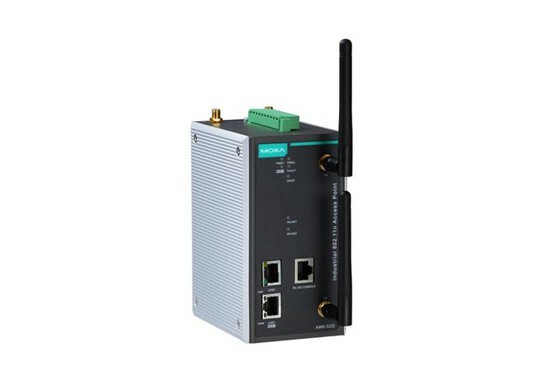 The AWK-3131 3-in-1 industrial wireless AP/bridge/client meets the growing need for faster data transmission speeds by supporting IEEE 802.11n technology with a net data rate of up to 300 Mbps. The AWK-3131 is compliant with the industrial standards and approvals, covering operating temperature, power input voltage, surge, ESD and vibration. Two redundant DC power inputs increase the reliability of the power supply and the AWK-3131 can be powered via PoE to make deployment easier. The AWK-3131 can operate on either the 2.4 or 5 GHz bands and is backwards-compatible with existing 802.11a/b/g deployments to fully utilize your wireless investment. Five year warranty. 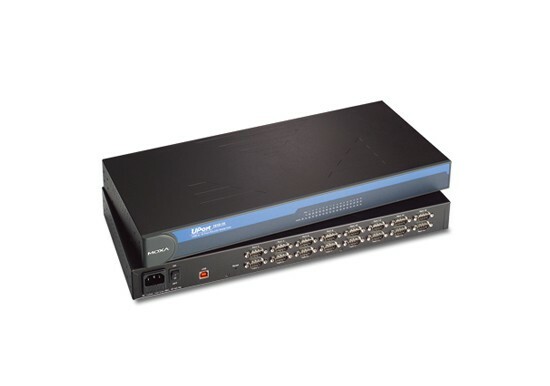 The AWK-4131 is dust-tight/weatherproof IP68 3-in-1 industrial wireless AP/bridge/client that meets the growing need for faster data transmission speeds and wider coverage by supporting IEEE 802.11n technology with a net data rate of up to 300 Mbps. The AWK-4131 is compliant with the industrial standards and approvals, covering operating temperature, power input voltage, surge, ESD and vibration. With a wide -40 to 75°C operating temperature the AWK-4131 allows you to extend existing wired networks to outdoor locations. The AWK-4131 can operate on either the 2.4 or 5 GHz bands and is backwards-compatible with existing 802.11a/b/g deployments to future-proof your wireless investments. Five year warranty. 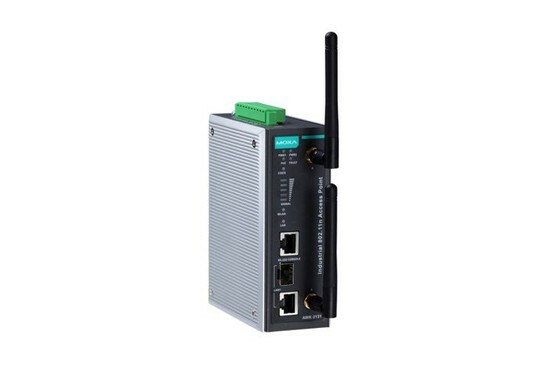 The AWK-5232 Industrial a/b/g/n Wireless AP/Bridge/Client is an ideal wireless solution for hard-to-wire situations and all mobile equipment when connected over a TCP/IP network. 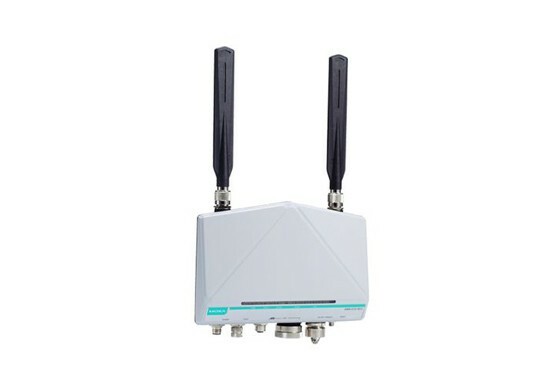 With two independent RF modules, the AWK-5232 supports a great variety of wireless configurations and applications, and the redundant wireless connections increase the reliability of the entire wireless network. The AWK-5232 is compliant with the essential sections of EN 50155, covering operating temperature, power input voltage, surge, ESD and vibration. 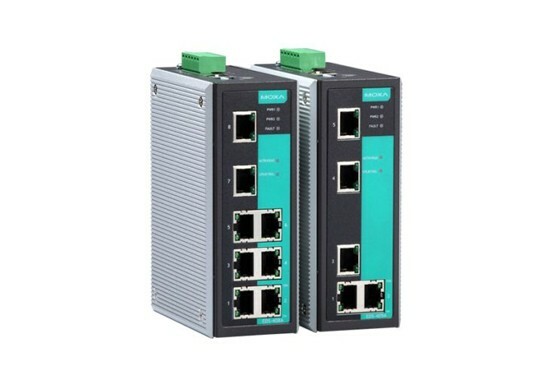 The AWK-5232’s two DC power inputs increases the power supply reliability and can also be powered via PoE+ (Power Over Ethernet Plus) for easier deployment. Five year warranty. 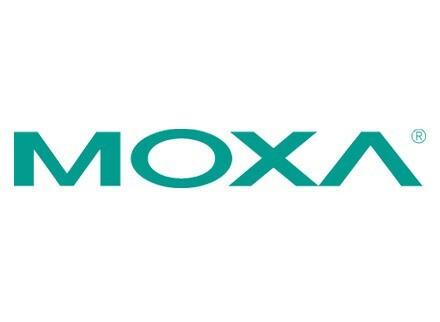 Moxa’s AWK-6232 3-in-1 outdoor wireless AP/bridge/client meets the growing need for faster data transmission speeds and wider coverage by supporting IEEE 802.11n technology with a net data rate of up to 300 Mbps. 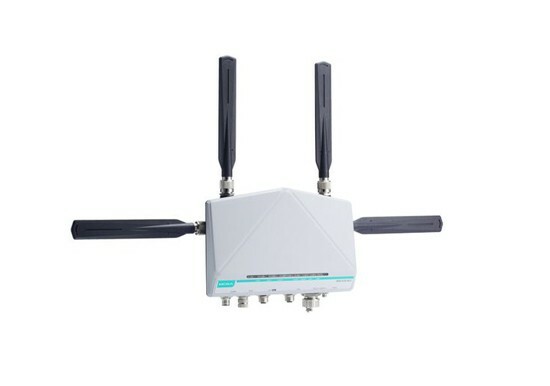 The AWK-6232 avoids interruptions in WLAN transmissions with its dual 2.4/5 GHz RF modules which allow two independent wireless connections over different frequencies. The 6232 is compliant with the essential sections of EN 50155, covering operating temperature, power input voltage, surge, ESD and vibration. 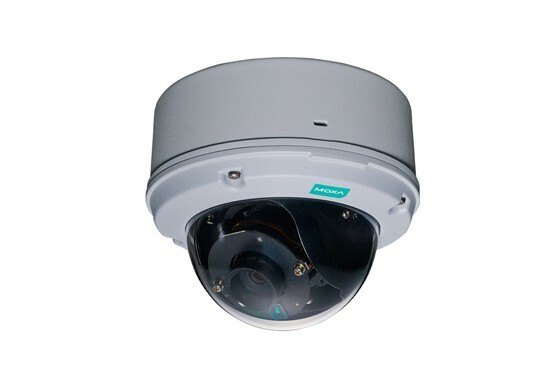 The AWK-6232 is housed in an IP68 metal casing with M12 connectors for total protection against dust, water, vibration, and other environmental effects. Five year warranty.